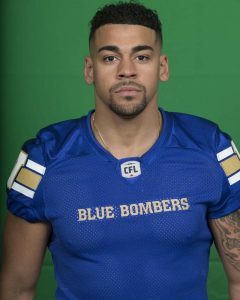 Put together a sensational season, leading the CFL in rushing with 1,035 yards to become the first Bomber to win the rushing crown since Fred Reid in 2010… Led the CFL in receptions with 105, breaking a record for catches by a running back, set by Saskatchewan’s Craig Ellis (102) in 1985… His 105 receptions also smashed the Bombers record of 71, set by Robert Mimbs in 1990… Led the CFL in yards from scrimmage with 1,892 (1,035 rushing, 857 receiving)… Named the CFL’s Most Outstanding Canadian Player, his first league-wide award, and was selected to the CFL and West Division All-Star Teams for the fourth time. 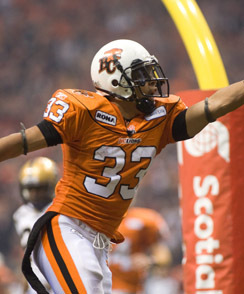 Signed with his hometown Bombers as a free agent on February 9, 2016… Completed his seventh CFL season by finishing third in the league in rushing with 974 yards, including two 100-yard rushing games… Led all CFL running backs with 631 receiving yards on 67 catches, the second highest-total in his career… Named to the CFL and West Division All-Star Teams… Missed three games in the second half of the season, but finished with 61 yards rushing and four catches in the 2016 West Semi-Final vs. B.C. Starting the season strong, Andrew was among league leaders in both rushing and all-purpose yards before suffering a season-ending ankle injury in Calgary Sep 27/14. 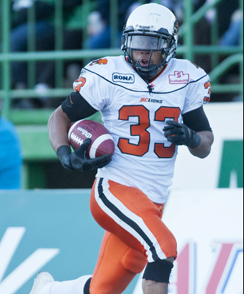 Despite spending the rest of the year on the injured list, his 652 rushing yards on 122 carries led the club and placed him sixth among all CFL running backs. A threat out of the backfield as a receiver, Andrew notched 529 yards on 46 receptions with four majors which stood up as the third-highest total on the team. His 1,181 yards from scrimmage led the club and were good enough for fourth overall league-wide. Factoring in 67 total kick return yards, he was second to only Stefan Logan in the combined yards category with 1,248 and finished 10th overall. His finest performance of the year came in Saskatchewan as he rumbled for 138 yards on 18 carries including a pivotal 58-yard TD run. Another solid season as the club's starting tailback, Andrew fell just two yards short of the 1,000-yard mark on the ground while leading all CFL backs with 61 receptions. His 1,511 yards from scrimmage last year not only led the Leos, it was more than 400 yards ahead of the next player (Nick Moore). He added four more 100-yard rushing games in 2013, three of which came in the first five games of the season. 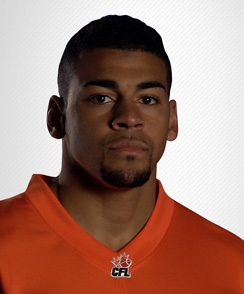 His 11 majors were a team best and ranked third in the in the CFL as did his rushing total and yards from scrimmage. The lofty numbers garnered him the club's Most Outstanding Canadian Player nominee for the second consecutive year. Andrew had his first CFL All-Star season and one for the record books in 2012 as became the first Canadian to lead the CFL in yards from scrimmage (1,830) since Terry Evanshen in 1967 and just the second to do it in league history. 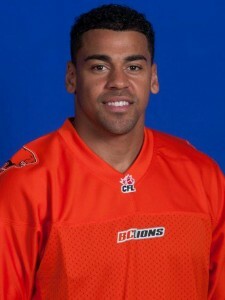 He recorded the sixth-best single-season rushing total (1,112) by a Canadian and became the first homegrown talent to lead the Lions since Sean Millington. Andrew had a career-high 147 yards on only 13 carries vs Hamilton on July 6/12 as well as two other 100-yard games. 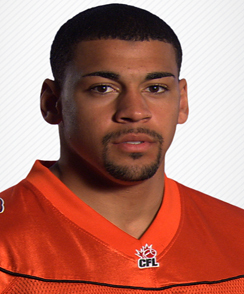 He led all CFL running backs with 75 catches which was also the sixth highest total in the league. 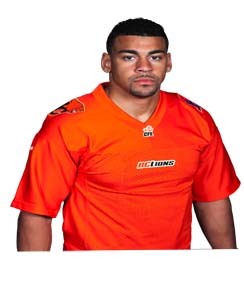 Andrew hauled in a career-high 11 passes for 120 yards vs Edmonton on July 20/12 and had 12 games of at least 50 or more rushing yards to go along with eight games with four or more receptions. He capped the year with the club’s nomination as Most Outstanding Canadian. Andrew had a solid second season for the Lions making the jump from reserve to starting running back in the second half of the year. He led the team in rushing with 458 yards on 96 carries including 14 runs of 10+ yards and had a career-best game on Sep 30/11 vs Edmonton in the BC Place re-opening game with 60 yards rushing, 115 yards receiving and two TDs. 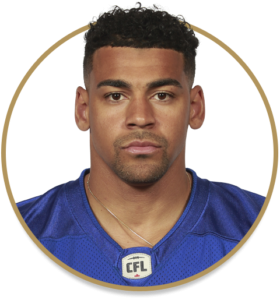 Andrew caught 30 passes for another 395 yards to finish among the CFL’s Top 25 in yards from scrimmage and notched 1,196 all-purpose yards to rank 19th overall as he returned kicks for a combined 343 yards. 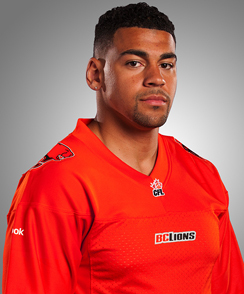 He capped the year with a strong performance in the Western Final and earned Most Outstanding Canadian honours in the Grey Cup win over Winnipeg. His 65 rushing yards were a key in the win as well as opening touchdown of the game. Andrew played in all 18 regular season games, as well as the West Semi-Final. He played mainly on special teams, he recorded 3 tackles. As a returner he received 205 yards on 23 punt returned and 505 yards on 23 kickoff returns. He got a season high with a 72-yard kickoff return and a 55-yard punt return. Andrew makes his off-season home in Winnipeg which keeps him close to his daughter, Hazel. 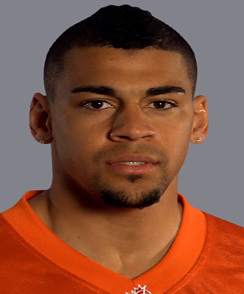 Known as ‘Twizzy’ to teammates and friends, Andrew notes winning the 2008 Canadian Bowl as his biggest football memory to date. Away from the field, he’s a fan of authors Bill Barto and Henry Arnold, and lists Drake as his preferred listening.